The VapeOnly MS Coil is designed for Malle S atomizer. It it a 1.5ohm MS Coil. 5pcs each pack. The VapeOnly MS Coil is a 1.5ohm coil head which designed to bring you the most intense taste sensation. It is perfectly suited for the Malle S atomizer and is super easy to replace. 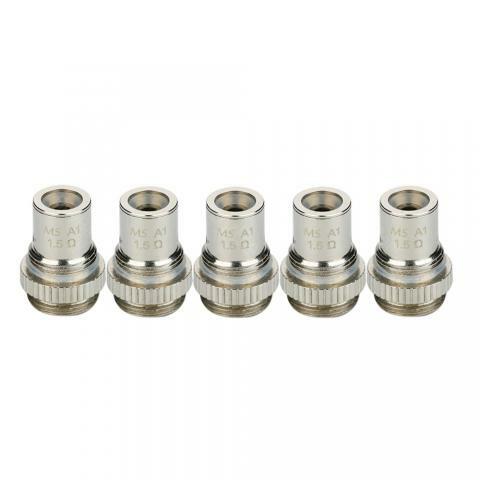 Get them as spare parts for your Atomizer or Malle S Lite Kit. 5pcs each pack. • It's for Malle S Lite and Malle S Atomizer. • You can buy Malle S Atomizer/Kit from BuyBest too. VapeOnly MS Coil for Malle S Atomizer is a 5pcs/pack atomizer The VapeOnly MS Coil has a 1.5ohm coil head designed to bring you the most intense taste sensation. It is perfectly suited for the Malle S atomizer and is super easy to replace.